According to the US Census Bureau, by 2050 the US population will be mostly comprised of racial and ethnic minorities – most of whom will make-up the US workforce. In particular, one of the fastest growing segments of the workforce is Science, Technology, Engineering, and Mathematics (STEM)1. Recent data from The Bureau of Labor Statistics show that STEM occupations have the highest projected increase in employment and higher median salaries compared to other occupations2. In 2010, STEM workers earned an average of 26 percent more than non-STEM professionals 3. Given the shifting demographics of the US and the need for a highly trained STEM workforce to sustain economic growth and global competitiveness, there is a need to increase the representation of racial and ethnic minorities in STEM. It therefore becomes increasingly important to understand factors such as stigma associated with STEM that may impact decisions to pursue STEM careers and possibly bridge the income gap. Among factors that influence decisions by racial and ethnic minorities to pursue STEM disciplines and careers are structural barriers within the public education system such as limited access to and preparedness for advanced science and math coursework. This invariably leads to lower levels of college readiness for STEM disciplines. These barriers in STEM education may be exacerbated by the lack of support lower socioeconomic and ethnic minority students receive in the classroom. For instance, compared to students from higher SES populations, children of lower SES populations may experience more bias from teachers, be stigmatized and perceived to have less ambition, and as less intelligent.5 This negative treatment and stigmatized perception may lead to a lack of enthusiasm to pursue STEM careers or a belief that they are not capable of succeeding in STEM. 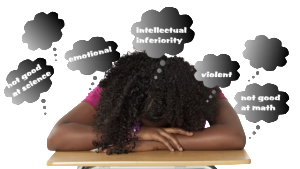 “Maybe I’m not good enough or smart enough.” Poor minority students may therefore find themselves at a disadvantage prior to even considering STEM as a viable career path. With current trends in the growth of STEM professions and predicted increase in racial and ethnic minorities, it is clear that educating a qualified, diverse workforce is necessary if the US is to remain competitive. Education in STEM is not reserved for the wealthy but should be available to everyone. A stigma free education that encourages all students to pursue education and training in one of the fastest growing careers is not only a necessity, it’s also the right thing to do. 1U.S. Census Bureau (2015). Retrieved from: http://quickfacts.census.gov/qfd/states/11000.html. 2 Bureau of Labor Statistics (2014). U.S. Department of Labor, The Economics Daily, Occupational employment and wages in 2014. Retrieved from http://www.bls.gov/opub/ted/2015/occupational-employment-wages-2014.htm. 5 William, W.R. (2009). Struggling with Poverty: Implications for theory and policy of increasing research on social class based stigma. Analyses of Social Issues and Public Policy, 9(1). 37-56. 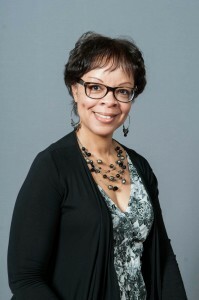 Jocelyn Turner-Musa is an Associate Professor and Interim Chairperson in the Department of Psychology at Morgan State University, Baltimore, Maryland. Jocelyn earned her bachelor’s degree in Psychology from the University of North Florida, a master’s and doctorate degree in Social Psychology from Howard University, and completed a post-doctoral fellowship in Mental Health Services from Johns Hopkins University Bloomberg School of Public Health. Jocelyn is also the Director of the Student Training Core in the Morgan State University ASCEND Biomedical Center for Research. The ASCEND program is designed to aid in diversifying the biomedical, behavioral, and social science research workforce. Jocelyn is a member of several professional organizations such as the American Psychological Association (APA) and the Council on Undergraduate Research. She has received numerous awards including an American Fellows Award from the American Association of University Women, a Minority Fellowship Program award from the APA Office of Ethnic Minority Affairs, and the Morgan State University School of Computer, Mathematical, and Natural Sciences Deans Award for Outstanding Research. Jocelyn is the first in her family to receive a doctorate degree. She is married with a daughter who is pursuing a degree in Math with a minor in Physics. People with criminal histories are all too familiar with having to answer questions about their backgrounds. These questions appear on applications for employment, housing, and most recently, college admission. In the context of employment and housing, people with criminal histories know that the relentless onslaught of questions into their past is designed to exclude them. And when they encounter a similar inquiry when applying to college, many reasonably make the same assumption about the intent of the questions. In our 2010 study of this issue, “The Use of Criminal Records in College Admissions Reconsidered” the Center for Community Alternatives (CCA) found that two-thirds of colleges and universities across the country were asking applicants questions about their criminal history. We also learned that checking the criminal history box on the application typically prompted the college to ask for supplemental information and subjected applicants to additional screening and inquiries. To investigate this process further, we conducted a case study of the State University of New York (SUNY), which includes 64 campuses. Expecting to find high rejection rates for applicants with criminal histories, we were surprised by what we ultimately discovered. All SUNY campuses are required by SUNY Central to ask applicants if they have ever been convicted of a felony. Applicants who indicate they have been, then receive a follow-up letter asking for information specific to their criminal record. This information is reviewed by an Admissions Review Committee that must be established and used on each SUNY campus for the specific purpose of considering the admission of people who disclose a felony conviction. CCA’s latest report (March, 2015), “Boxed Out: Criminal History Screening and College Application Attrition” found that the process itself of inquiry into an applicant’s criminal history was a more formidable barrier than outright rejection by the Admissions Review Committee. Using admissions data, we compared the percentage of applicants who check the felony box “yes” and do not complete the application process to the percentage of overall applicants who do not complete the application process. 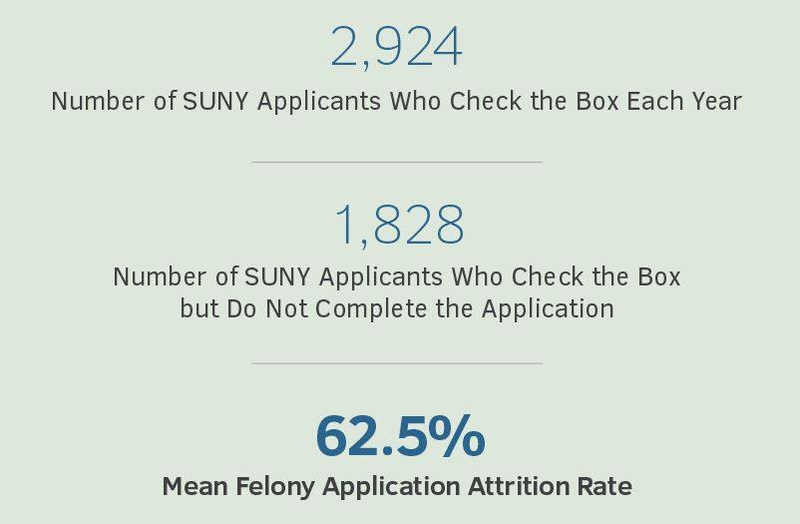 We term this phenomenon “application attrition.” We found that the SUNY felony application attrition rate (62 percent) is three times higher than the overall application attrition rate (21 percent). We estimate that more than 2,900 applicants disclose a felony each year throughout SUNY and that more than 1,800 do not complete the application process and are never considered for admission. In other words, about two out of three applicants who disclose a felony are boxed out by application attrition. In contrast, while some campuses do report startlingly high rejection rates for applicants who disclose a felony conviction, most exclude fewer than 10 percent of such applicants. Several, in fact, did not reject a single applicant who disclosed a felony conviction. We found that for every one applicant rejected by Admissions Review Committees because of a felony conviction, 15 applicants are excluded by felony application attrition. This suggests it is the questions about criminal history records, rather than rejection by colleges, that are driving would-be college students from their goal of getting a degree. Part of what is pushing applicants away is the daunting supplemental process they are subjected to after disclosing a felony conviction. This gauntlet of requirements ranges from the absurd to the impossible. Some campuses require applicants to provide recommendations from corrections, probation, and parole officials who are reluctant to provide such information, unable to do so, or outright refuse to as a matter of policy. Other campuses require applicants to obtain documents that simply do not exist. Many require applicants who make it through the gauntlet to appear before the Admissions Review Committee, an experience that some applicants have likened to appearing before the Parole Board. For people who have faced barriers in virtually every important social domain, there is no way to make the criminal history question welcoming or less traumatic. The power of label and stigma, which shapes the life experiences of people with criminal history records in 21st-century America, discourages many from trying to push open doors that seem locked tight. For all of the reasons outlined here, CCA, in collaboration with the Education from the Inside Out Coalition, strongly recommends that all colleges and universities refrain from including the criminal history question on the application and prohibit the use of criminal history information in admissions decision making. The Center for Community Alternatives (CCA) was founded in 1981 as the first alternative-to-incarceration (ATI) program in New York State. Its mission is to promote reintegrative justice and a reduced reliance on incarceration through advocacy, services, and public policy development in pursuit of civil and human rights. CCA has offices in Syracuse, Rochester, and New York City. Find CCA on Facebook and follow them on Twitter @CCA_NY. 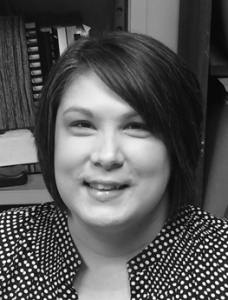 Emily NaPier is the Director of Justice Strategies at the Center for Community Alternatives. Her work at CCA has been focused on increasing access to higher education for people who are incarcerated and those with criminal histories, reducing racial and ethnic disparities in the juvenile justice system, promoting alternatives to criminalization and incarceration, and removing barriers to reintegration for people with criminal histories. As an adjunct instructor at Syracuse University and Ithaca College, Emily taught courses on the criminal justice system, racial and ethnic inequalities, radical criminology, and research methods. She now teaches sociology at Auburn Maximum Security Prison through the Prison Education Program of Cornell University. Emily is also a community organizer and the current President of the Alliance of Communities Transforming Syracuse, a coalition of more than 30 congregations and agencies organizing around social justice issues in Central New York. Alan Rosenthal, Esq. is the Advisor on Special Projects and Counsel at the Center for Community Alternatives. 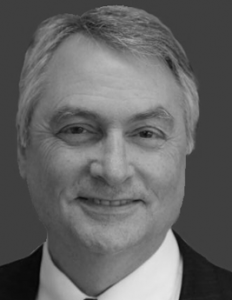 He is a criminal defense and civil rights attorney with over 40 years of experience. A graduate of Syracuse University College of Law, he has litigated cases involving police misconduct and violations of civil rights in both jails and prisons. Alan has written extensively on parole and sentencing and, more recently, on access to higher education for incarcerated people and people with criminal histories. He has served on the New York State Bar Association Special Committee on Collateral Consequences of Criminal Convictions and currently serves on the New York State Bar Association Special Committee on Reentry. In March 2006 he was honored with the Outstanding Service to the Criminal Bar Award by the New York State Association of Criminal Defense Lawyers. He was the 2014 recipient of the Wilfred R. O’Connor Award presented by the New York State Defenders Association. 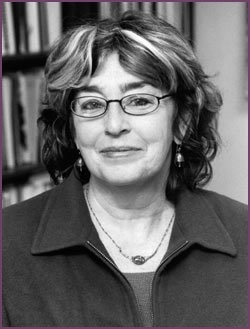 Marsha Weissman, PhD is the founder and Executive Director of the Center for Community Alternatives. She is a leader in the field of community-based alternatives to incarceration; has developed pioneering services; and has done innovative research, policy analysis, and training. Marsha’s writings, advocacy, and the programs she has developed have had a special focus on the impact of incarceration on youth, women and communities of color. She works to further equal justice for people who are poor, people of color, and other marginalized populations while keeping human and civil rights issues in the forefront of all her work. Her book, Prelude to Prison: Youth Perspectives on the School-to-Prison Pipeline was published in 2014. In 2012 she was honored with the Sara Tullar Fasoldt Leadership and Humanitarian Award from New York State. She is the 2015 recipient of the Service of Justice Award from the New York State Defenders Association.